The Basecamp cutlery set by Baladeo has everything you need for your next outdoor adventure. 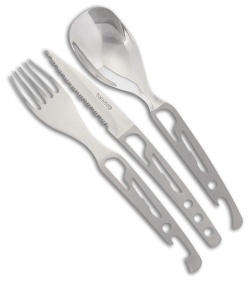 Made of food grade stainless steel, the 3-Piece set includes a spoon, fork and serrated knife. 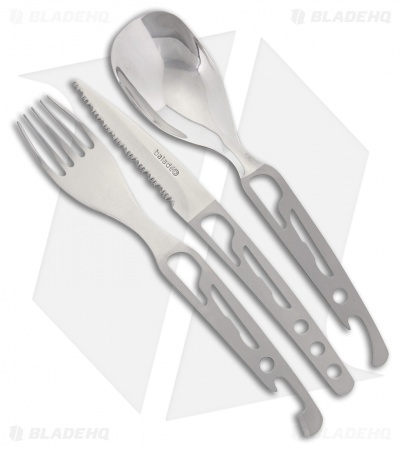 With built in can and bottle opener, the skeletonized handles are sturdy enough to stand up to the elements while keeping the overall weight low. 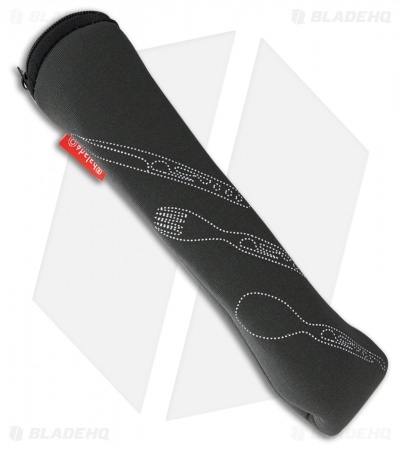 Includes gray neoprene carry pouch and carabiner.